Real quick, I want to talk a bit about this great little site that I just ordered from. It's called Video Game Box Protectors, and they sell exactly what their name suggests. 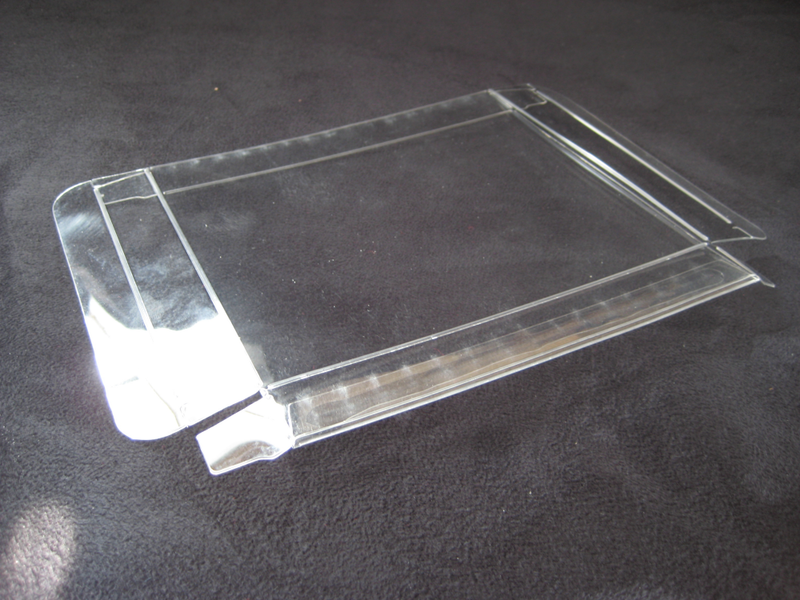 This site sells plastic cases that you can put your games in, whether they're cart only or in their original boxes. 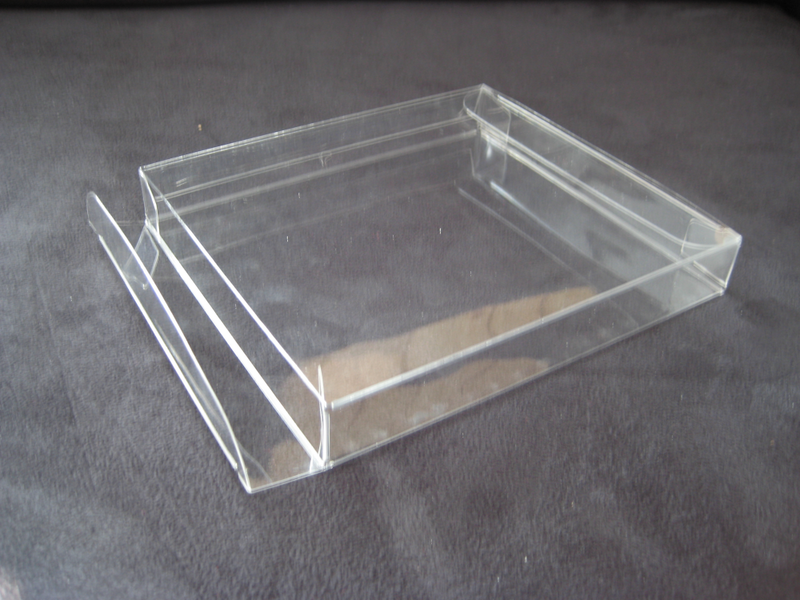 You can order cases for a wide variety of games. I think they're continuing to add more cases to their store, because I don't remember seeing 3DO cases there when I originally found the site. Though I am surprised they don't currently have cases for Sega Genesis carts, only the boxes. That could change in the future, I suppose. For a while, I have been concerned about my more valuable carts rubbing against each other in the boxes I store them in. I have been worried that eventually their labels would scuff or scratch or that the plastic would get damaged. With these cases, that is no longer a concern of mine. I ordered cases for NES, SNES, and Nintendo 64 carts. They arrived about four days after I ordered them. When the cases come to you, they come unfolded like in the image above. Each case has a thin piece of paper separating it from the other cases so they don't get scratched up. They come bundled up in packs of however many you ordered. For instance, for the NES, I ordered two packs of 25. You can also order them individually if you only need a few. It takes seconds to unfold and set up each one. When you fold the end flaps in, they seem to lock into position, keeping them from popping out on their own. I suggest folding the ends in before you put the game in so they stay in better. You might fumble around with the first few you unfold, but you quickly get the hang of it and you'll be assembling them rather quickly. The cases stack up nicely and they fit the carts very well. There is a little room for movement inside the case, but I think that's a good thing. Since it's not hugging the cart, I feel like the game won't get damaged if I remove it from the case often. 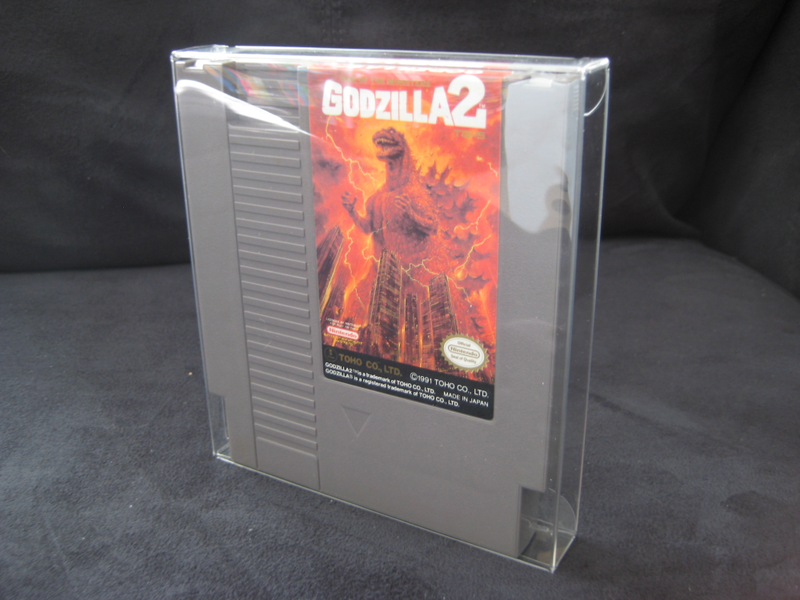 Godzilla 2 protected in a shiny new case! This is what the finished case looks like with a game inside it. Since the cases are so shiny, it makes the games look amazing. It's like when you put an old comic book in a shiny bag and board. The end result is just aesthetically pleasing. Speaking of bags, they even sell bags for instruction manuals! The cases are not cheap, but they are affordable. For a pack of 25 NES cases, it's $15. You're not going to go broke buying them. It's definitely cheap enough that I will buy enough to hold all my more valuable games, but I don't plan on spending $450 to hold all my NES games. That being said, it would be nice to have them all cased up, though! 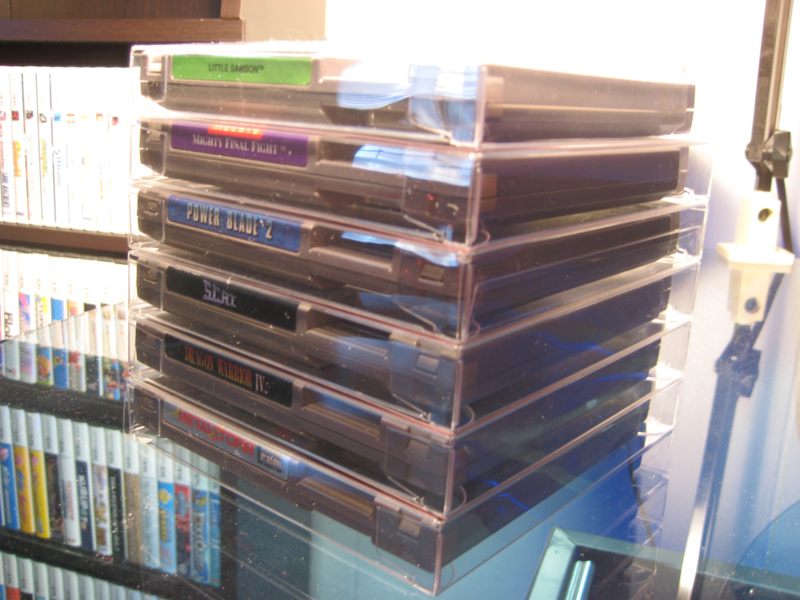 If you're a game collector, or even if you just have a bunch of games you'd like to preserve, I definitely recommend making some purchases from Video Game Box Protectors. Especially if you have older games that are worth a bit of money. I really think a service like this is needed for video game collectors.